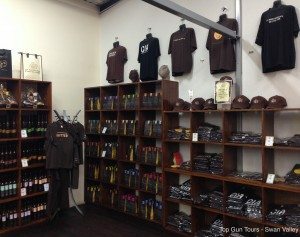 What could be a better way of finishing our fantastic Swan Valley Wine Tour than to visit the award-winning Margaret River Chocolate Company? 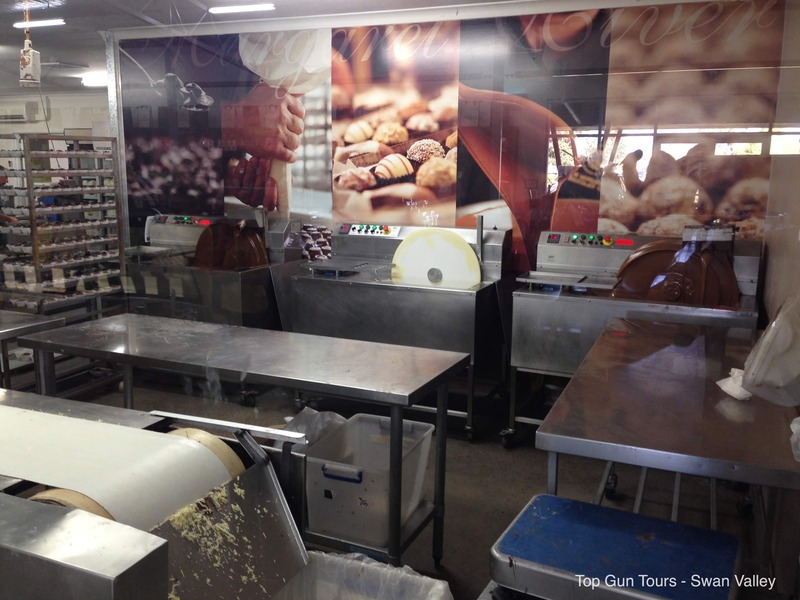 In operation since 1999, the Margaret River Chocolate Company is immensely popular with tourists and locals alike. 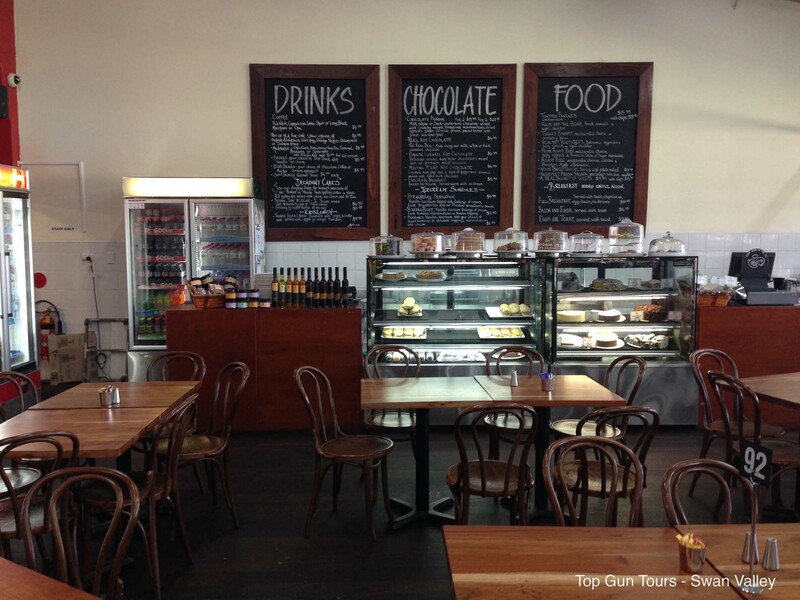 It boasts amazing premises in both Margaret River and the Swan Valley, each with a factory, cafe and showroom. Plus, in Perth City there’s an exciting new concept store. Margaret River Chocolate Company is a feast for all the senses! Expect fantastic interactive visual displays, free chocolate tastings and viewing windows where you can witness the amazing chocolate factory in action. With the factory on-site, The Margaret River Chocolate Company makes and sells its chocolates and chocolate related products, including exquisite chocolate bars, handmade truffles, chocolate coated treats, chocolate sauces and novelty chocolates. Also available are iconic cooking books, gift hampers, merchandise, and even chocolate body products. 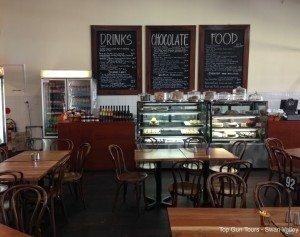 While at the Margaret River Chocolate Company, take the time to visit the cafe, where you can experience a fantastic selection of chocolate fondues, cakes, desserts, coffees and, what’s touted as “The best hot chocolate in Western Australia”! Tasting chocolate: here’s where the fun starts! After a day at the vineyards, it’s only natural that you should extend your new-found wine tasting skills one step further to learn the delightful art of chocolate tasting! As with wine tasting, it’s easy to distinguish good quality from bad by using all your senses – not just taste but smell, sight, touch – and even sound! Good quality chocolate should have a rich depth of colour with an attractive sheen and distinguishable gloss. The texture of the chocolate should be smooth and begin to melt within one minute of holding the chocolate. The sound is also important, with good chocolate making an audible ‘snap’ like the twig of a tree. Lighter chocolate makes a softer sound while darker chocolate has a crisper sound. If you close your eyes, the aroma of the chocolate should be clearly present, with just a tiny touch of natural vanilla undertones. And finally, to taste the chocolate, put a small piece of chocolate on your tongue. As it melts, feel the texture, while identifying the flavours that emerge. Cocoa beans are the vital ingredient in all chocolate. They are harvested twice a year from parts of Africa, South America and Asia. The raw product of cocoa beans also includes cocoa butter, cocoa powder and cocoa mass. Sugar and milk powder are then combined to create the delectable product that is chocolate. 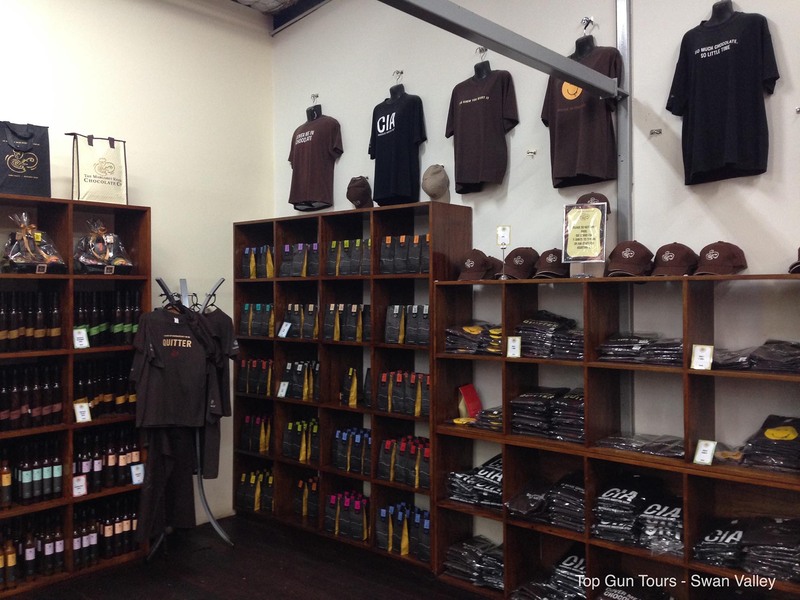 Like to experience the Margaret River Chocolate Company? Contact us today by filling out the enquiry form or calling (08) 9453 2961 to find out more.